Giant Hogweed was introduced into Britain in 1893 as an ornamental plant. It spread from gardens by seed and is rapidly colonising many areas of waste land and river banks in the UK. 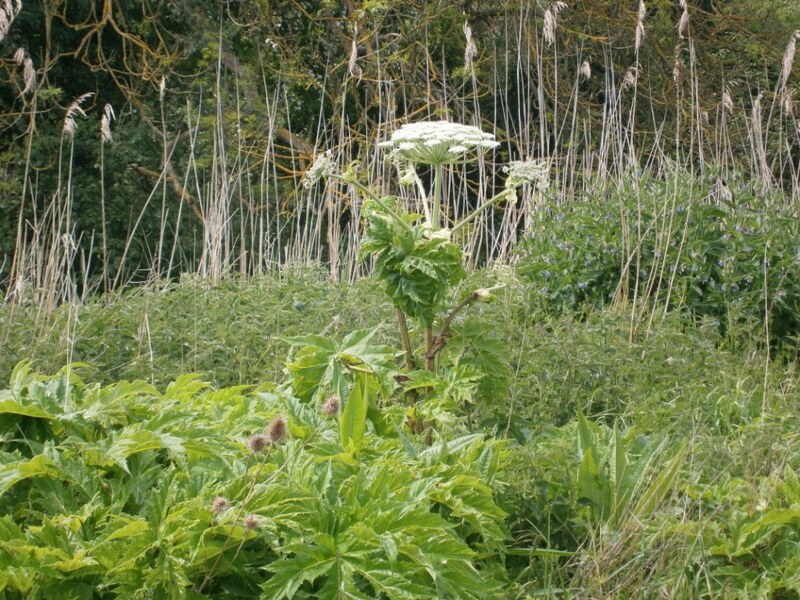 It can grow to 5 metres high and has a large umbel of white flowers from which it produces 50 to 5000 viable seeds per year.The sap of Giant Hogweed can cause a severe skin reaction in humans, resulting in blisters, scars and if it comes in contact with eyes blindness. Native Landscapes have a proven track record of successfully controlling and eradicating Giant Hogweed. We conform to all current legislation and guidelines on invasive and injurious plant control. 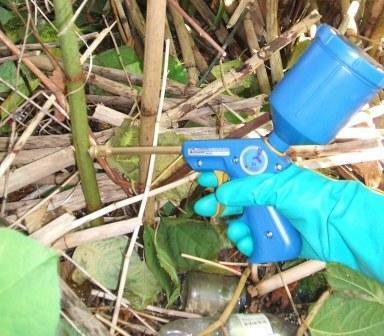 Mechanical control is the most expensive way to eradicate Giant Hogweed however on larger sites there may be no other options. Native Landscapes have been providing invasive and injurious weed control services for over 20 years and conform to all current legislation and guidelines on invasive and injurious plant control. 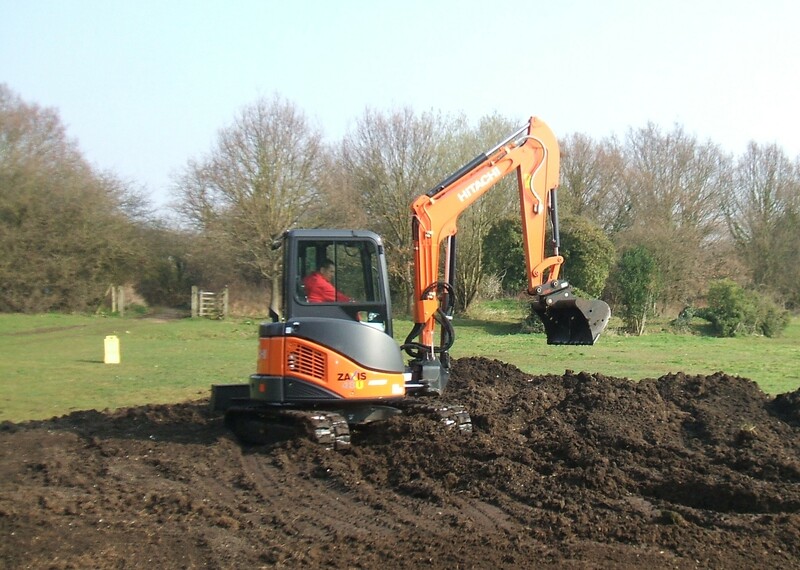 Native Landscapes can supply machinery, equipment, transportation and certified disposal of all hazardous waste therefore offering our clients a complete service. Native Landscapes can carry out manual control of Giant Hogweed if necessary. In some situations machinery and herbicides cannot be used and manual control can be the only solution. We use a range of tools including scythes, loppers and log handled spades. 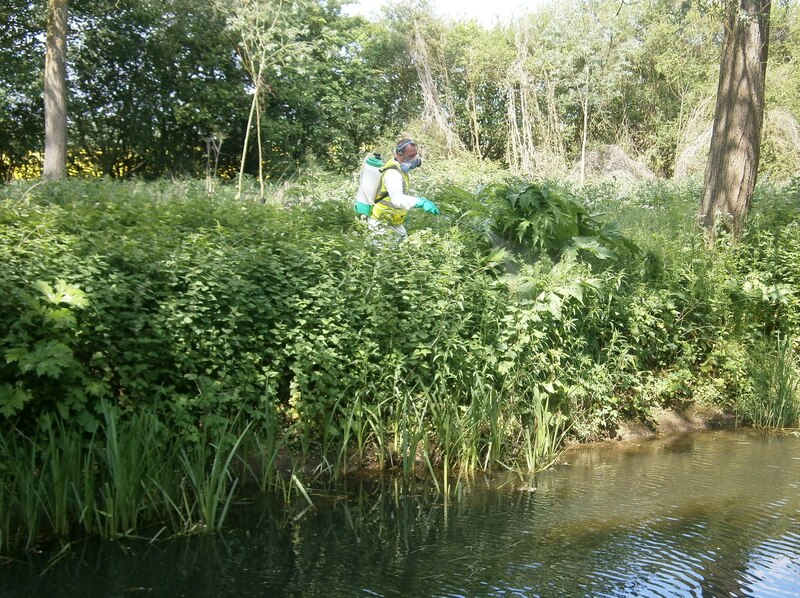 Native Landscapes adhere to all current legislation and guidelines on the manual control of Giant Hogweed and ensure that a cost effective solution is always achieved. Giant Hogweed is an invasive non-native plant species which can cause problems for native UK species and reduce biodiversity. Invasive non-native species are now widely recognised as the second biggest threat to biodiversity worldwide. You must not plant invasive plants intentionally and if you have invasive plants on your property you must not allow them to spread off site. Non selective herbicides are usually applied to the leaves of plants by spraying however, stem injection involves the application of a controlled quantity of herbicide into the hollow stems of plants. 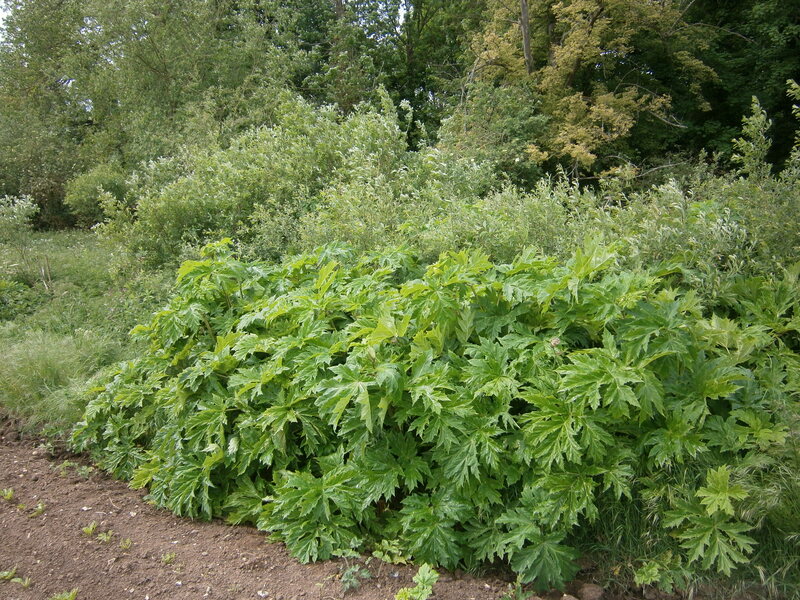 The direct application of herbicide by stem injection ensures this method is an effective way to eradicate Giant Hogweed. Stem injection is usually carried out in early summer and can be safely applied in public and commercial areas.